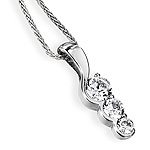 Diamond pendants are perfect gifts for any occasion. 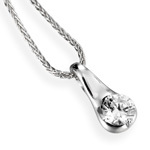 Our stunning designs come in a range of styles to suit every taste from solitaire pendants to multi stone pendants. Mad About Diamonds don’t just specialise in top of the range, exquisitely crafted diamond rings and earrings. We also have a gorgeous range of stunning diamond pendants for UK delivery and they are all straight from our state of the art workshop. 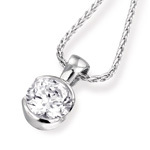 As with all Mad About Diamonds jewellery, our diamond pendants are made with some of the finest materials on the planet so you can rest assured that you are getting pure quality. Diamond pendants are without a doubt the most popular form of diamond necklace and complement all other jewellery and outfits superbly. They, much like their counterparts on the market, are also extremely versatile and as always you can custom make your necklace. 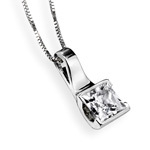 You can opt for a stunning diamond pendant that suspends with a single diamond or choose several stones and you can also decide upon the length of the chain. 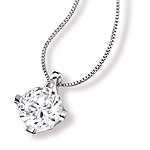 With an abundance of styles, lengths and diamonds available, you really do get the freedom to make the perfect diamond pendant. 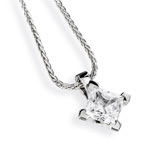 Solitaires, princess cuts and hearts are popular choices when it comes to diamond pendants but if you still can make your mind up then why not peruse that great Mad About Diamonds website or just give us a call. If you’re feeling particularly adventurous then why not draw a sketch of your ideal diamond pendant, one of our diamond specialists will replicate it perfectly. 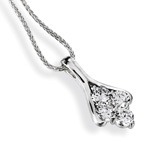 Purchase your Pendant online from Mad About Diamonds. 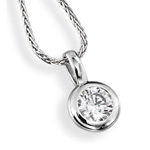 Our personalised service will ensure you get the best possible deal on your Diamond Pendant!